Slovenly never stops searching for what’s really out there, and for the out-there bands that are screaming in their native, non-English tongue, we very proudly present our new imprint / sub-label: MONDO MONGO. Making this launch particularly bonkers is the debut single from Berlin’s PUFF. If Sean & Erin from THE SPITS were raised in 1980’s Germany by freaky parents with a kraut-rock collection, their band might have sounded a lot like PUFF. Three tracks of spastic and aggressive synth heavy rave-ups, sung entirely in German, from some of the heaviest pranksters around. 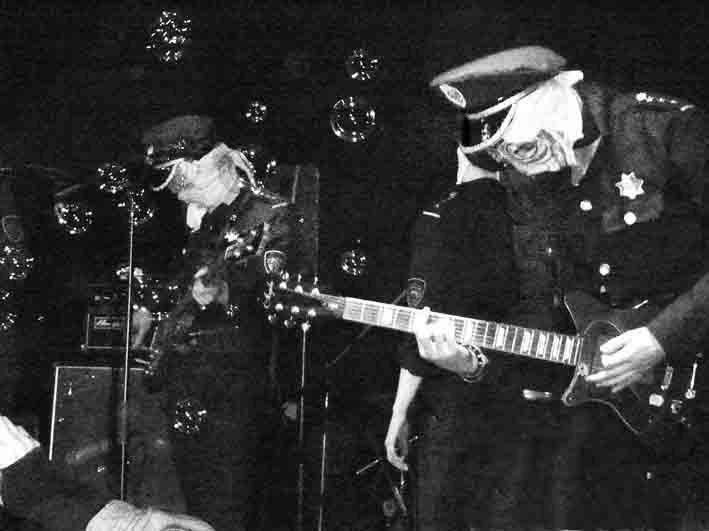 These chuckle-headed Satanic funhouse psychedelic punk sounds are a direct response to the so-called “hipster” invasion Berlin has been plagued with for the last ten plus years. PUFF: KILLS PARTY PEOPLE ON CONTACT.